Back once again with the new arrivals. Here’s what’s caught our eye over the past few weeks. Breathable base layer shorts from Altura. Soon to be your favourite pair to wear under your baggies. Both pairs feature Altura’s Snap™ technology making it really easy to attach them to Altura baggy shorts. The Hammock and Lunchbox shorts keep your ‘meat and veg’ nicely packaged. See what they did there? 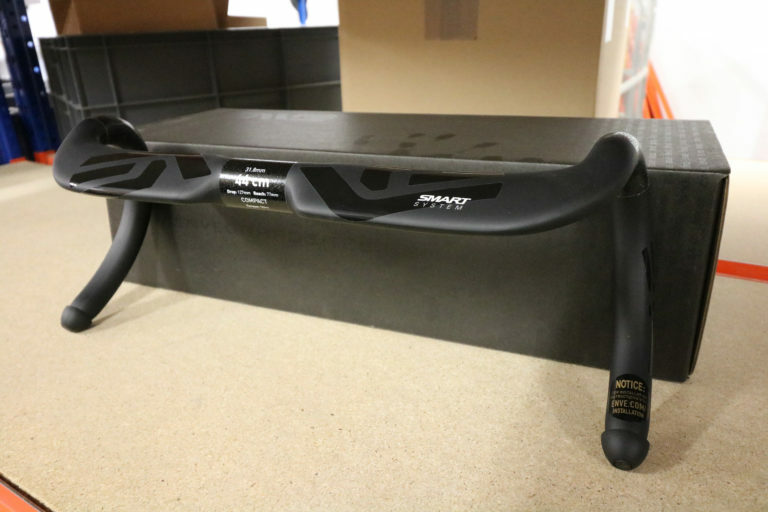 Full carbon fibre road handlebar with thoughtful ergonomics and geometry. Weighing in at a minimal 209 grams, they haven’t lost any stiffness which causes adverse flex. No stone was left unturned in designing this bar. You probably won’t have heard of Force. They’re a bargain brand from central Europe. It’s good stuff at a great price. 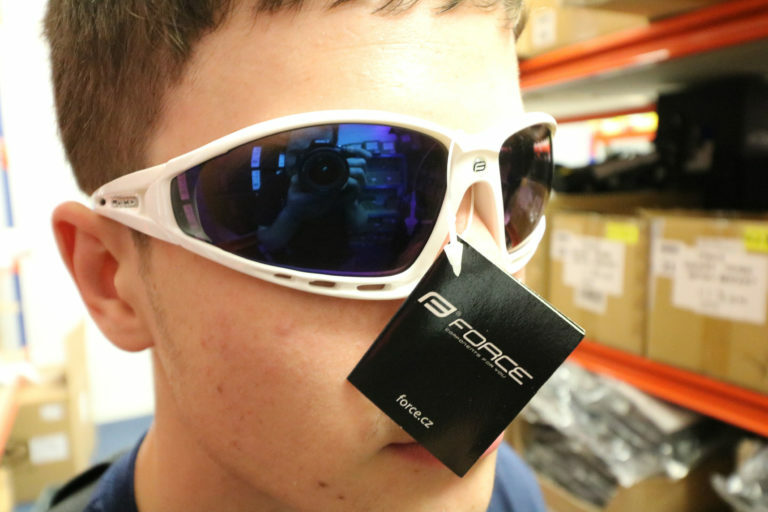 The Force F.Pro Sunglasses are quite BBB-esque. Nice looking glasses with spare interchangeable lenses, nose pads and supplied in a zip-up hard case. 1 x is all the rage. 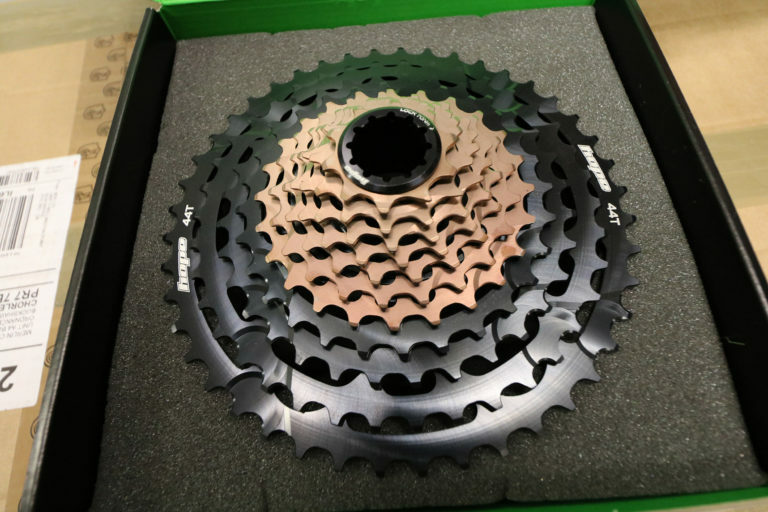 Hope have engineered a top spec, wide range cassette using all their MTB know-how. The smaller seven sprockets are machined from a single billet of hardened steel and the larger 4 from 7075 aluminium. Don’t fret, they’re also hard anodised to improve wear resistance. The use of aluminium ensures weight is kept to a minimum with very little compromise in strength. 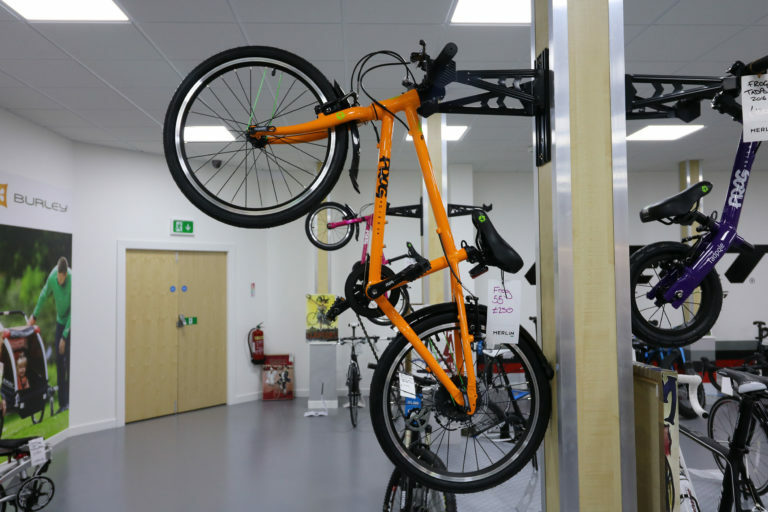 As fellow Lancastrians, we love the fact Hope tech haven’t moved from Lancashire. A local brand of the highest quality. Forget the sling. 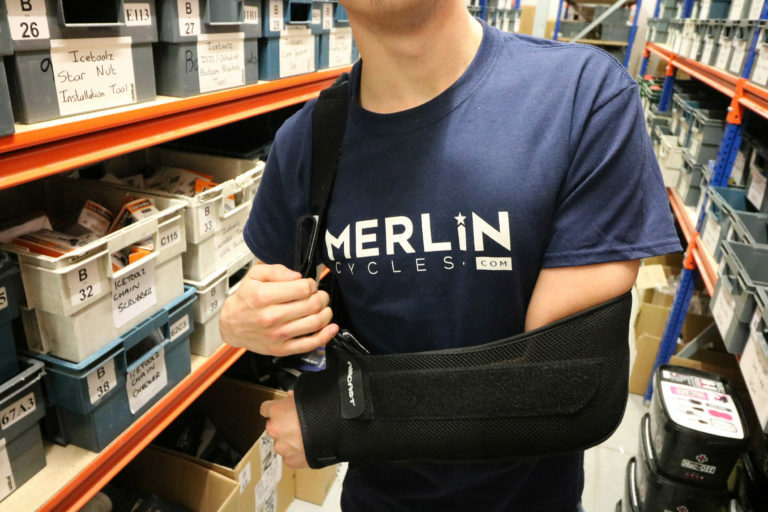 Focus on that crazy cool Merlin tee. Back-in-black. New-in-navy. Gildan heavy cotton for a comfortable fit and feel. 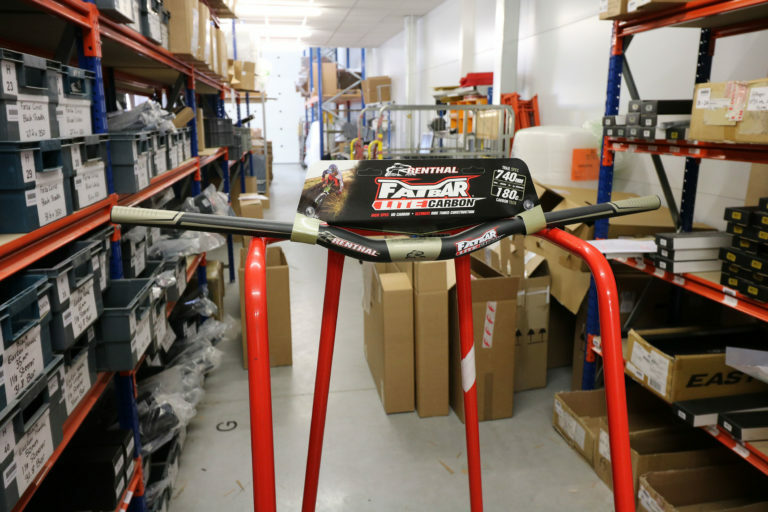 If Renthal bars are good enough for Gwin, they’re good enough for us! Carbon flavour retains strength and durability whilst dropping valuable grams. A vacuum packed cleaning sponge from Muc-Off. It takes up less packaging so they’re easier to store and nicer on the environment. Once you’ve opened the packet the sponge springs into shape ready for use. It’s perfectly pink. Arguably the best brand of kids bike on the market. Lightweight and durable with a long geometry for stable riding. Match that with cool colours and you’re on to a winner. 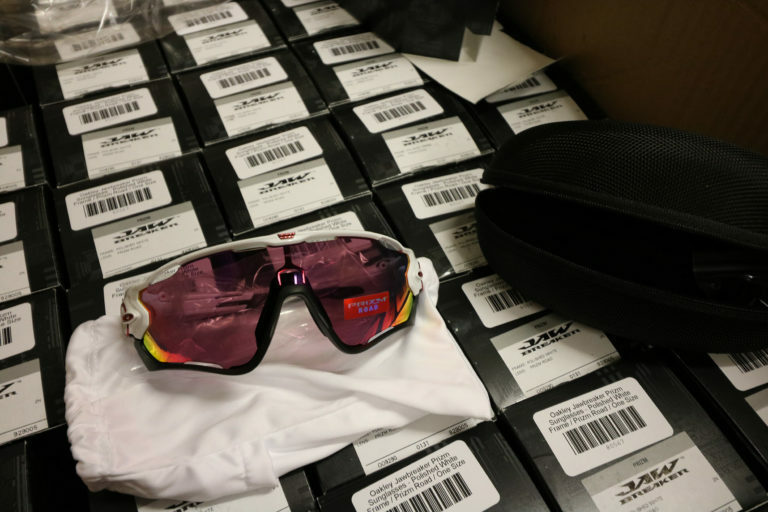 A nice big box of Oakleys. We do like a good box shot. Oakley is the biggest name in cycling eyewear. The American company’s products have graced some of the biggest names in the sport over the last 30 years and for good a reason; their excellence in function and looks. 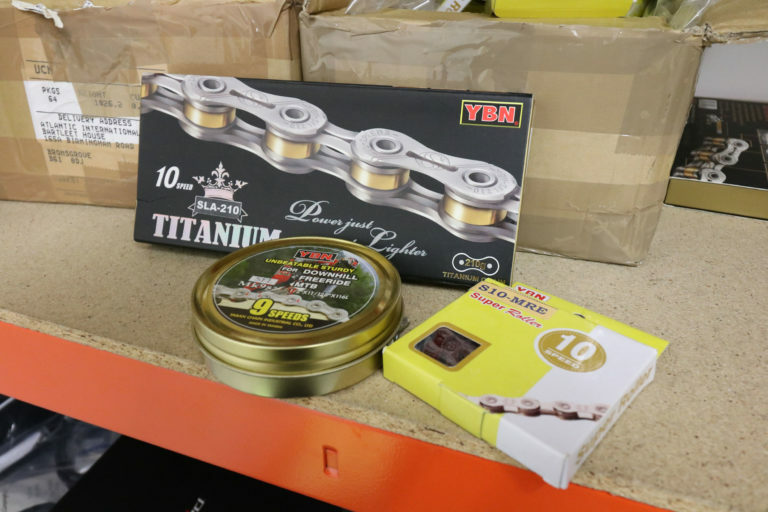 Yaban Chain Industrial Co., Ltd. specialize in manufacturing bike and motorbike chains. They make reliable and durable chains sticking to this corporate philosophy – “Quality is give our highest priority – guaranteeing our customers worry-free products”. Tagged altura, Cycling, enve, force, frog, goods in, hope, kids bikes, merlin, Merlin Cycles, merlin wear, mtb, muc off, oakley, road, sunglasses, Ybn. Bookmark the permalink. Your product highlights don’t link to the product or give pricing. Whoops. Sorry about that, Bill. We’ve put those in now. Thanks for reading!